Concept of Movement needed to maximize floor space for their clinic needs and exercise programs with clients. The MoveStrong Nova Wall FTS was selected with training features that allowed for calisthenics and functional fitness exercises. MoveStrong grip training tools were incorporated along with the Elevate Trainer for bodyweight suspension movements. The MoveStrong Adjustable parallel bars were added to accommodate strength and balance work needed with clients. And a Elite Storage Rack to match the look of other equipment and provide a clean and neat place to maintain fitness accessories like kettlebells and medicine balls. If in the Toronto Canada area please stop in and see our fiends at Concept of Movement. They offer physiotherapy, massage therapy, athletic therapy, movement training, acupuncture and other health services. 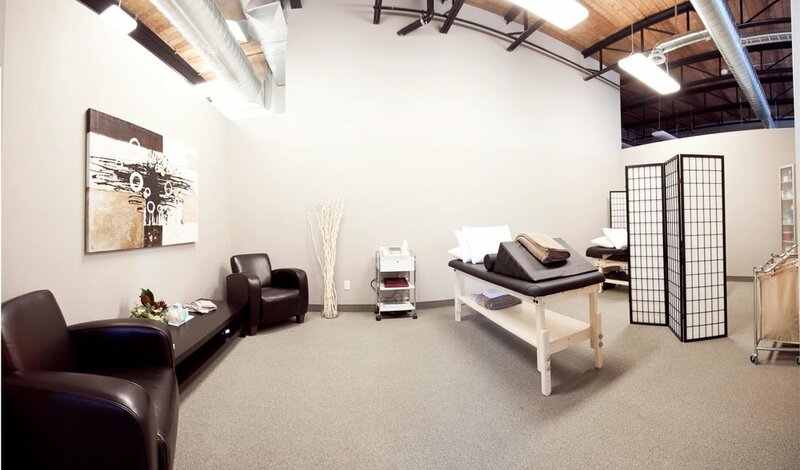 “… Our treatment philosophy includes using manual techniques and acupuncture to restore normal joint and soft tissue mobility, then supplementing it with functional corrective exercise techniques and movement strategies to prevent injury reoccurrence. ... As experienced physiotherapists, massage therapists and strength coaches we understand how to retrain movement patterns and correct faulty ones which will provide the foundation for safe and effective performance.